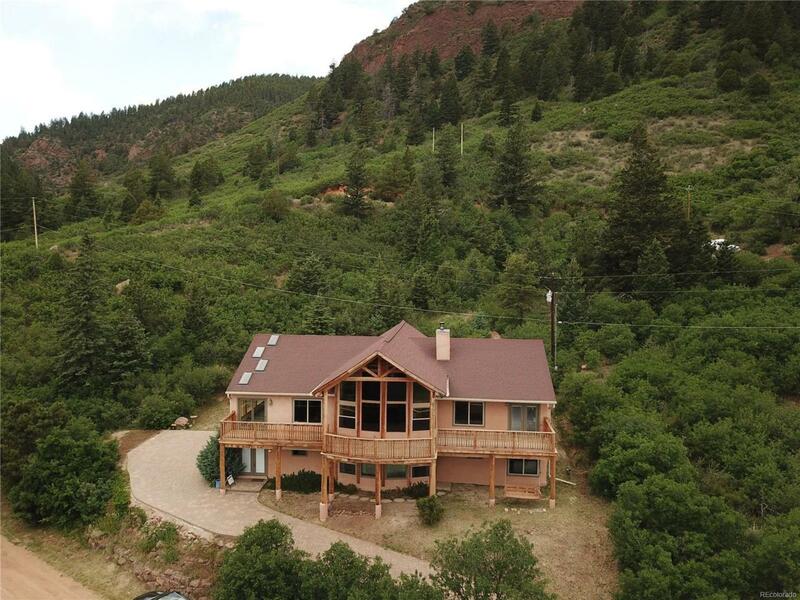 Award winning 3,700 finished square foot raised ranch perfectly nestled into the mountainous hillside above Palmer Lake with 360 degree views of the majestic valley and mountains! The spacious great room includes 18 ft vaulted wood ceilings, numerous windows to take in the stunning views and a 2 sided gas fireplace to enjoy during the winter months. Showcasing a main floor master bedroom with access to the enormous covered deck, 5 piece master bathroom and an oversized walk in closet. The walk out lower level features 2 bedrooms, a full bathroom, spacious family room, exercise room and 2nd laundry room with washer and dryer included. This award winning home was awarded the 2007 Custom Luxury Honor Award Of Excellence and Special Award For Sustainability by the AIBD Design Competition. Offered by Wolfe Realty Group Inc.